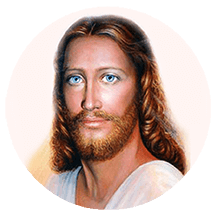 Lord Sananda is the Cosmic Name for the one we know as Jesus Christ who came to the Earth 2000 years ago to bring his message of the Power of Love to all of Humanity. Lord Sananda, as Head of the Collective Christ and Christ Teacher for the Earth, is ever present in the Christed Realms giving direction to Commander Ashtar and the true Ashtar Command on how to Free Humanity From The MATRIX according to the Divine Plan of Original Mother-Father Creator Source. As Commander Ashtar implements the Divine Plan, Lord Sananda acts as Christed Guide to Humanity and brings forth his teachings to Humanity once again through his current messenger, Rev. Alexandriah Stahr. Lord Sananda&apos;s Teachings are about how to develop an inner spiritual relationship with Lord Sananda as your personal guide and mentor. With Lord Sananda, as your guide, you can learn how to be a Christed Being of Light on the Earth in human form. Lord Sananda returns now to lead the way beyond 2012 into the 13.13.13 Solar New Earth Reality.